Legendary interviewer Larry King assured fans that he was not hurt after protesters objecting to the peaceful transfer of power between presidents Barack Obama and Donald Trump smashed in the windows of his car. 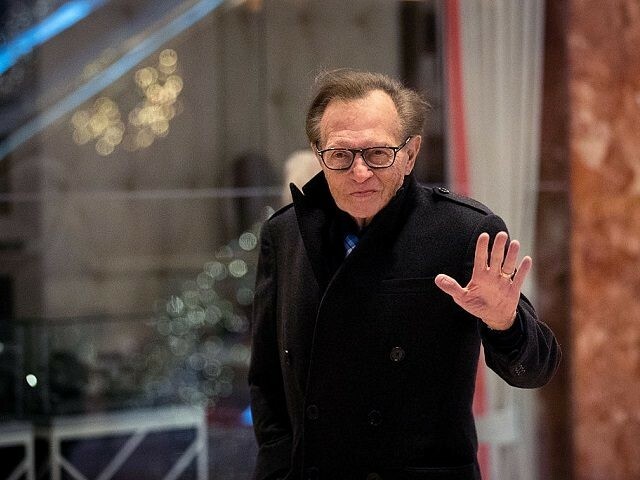 King rose to prominence as the host of Larry King Live, CNN’s 9PM flagship show for over two decades. President Trump has repeatedly accused CNN of spreading misinformation about himself and his campaign, something CNN head Jeffrey Zucker has claimed has boosted the network’s credibility. King currently hosts a program on Russia Today (RT), a Kremlin-controlled network.